A frosty friend you can trust! Comfort grip and smooth writing as standard! 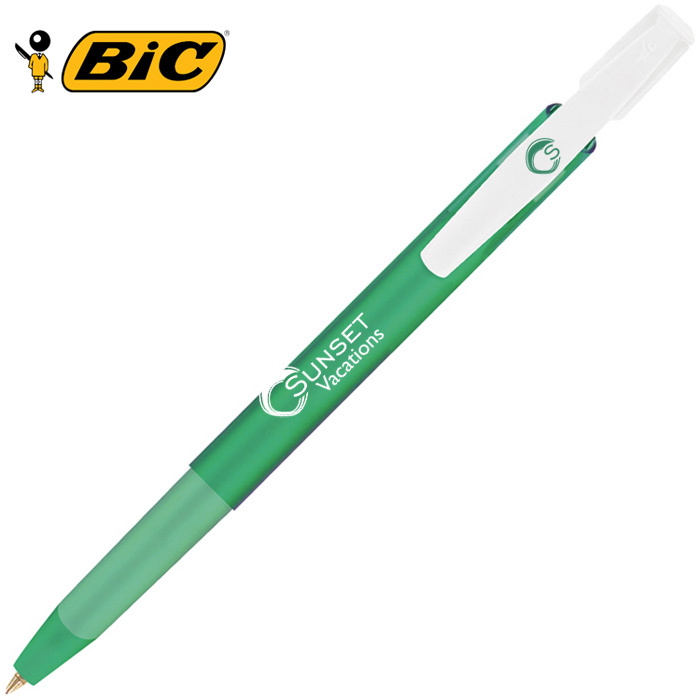 Popular Media Clic ballpen with frosted coloured barrel and a soft-touch grip. Each with a see-thru frosted clear/white grip and a frosted white clip as standard, or you can select from a wide range of alternative clip and end stopper (plug) colours and mix & match as you choose. View the complete BIC Media Clic range for further styles and colour options. Ink: Black as standard, blue available on request. Dimensions: 147 x 13mm diameter. Print area: 32 x 20mm (barrel - in line with clip), 32 x 20mm (barrel - reverse), 25 x 4mm (clip). Ready to ship in : 6 business days *.